Holly Miranda - To Be Loved. 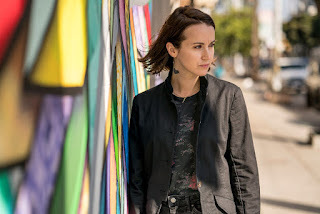 Background - Holly Miranda's new single is "To Be Loved". It follows her prior singles "Golden Spiral" and "Exquisite" the latter of which features T.V. On The Radio's Kyp Malone. "Exquisite" also had a video which was directed by Kyp. All three tracks will be available on Holly's new LP 'Mutual Horse', out 2/23 on Dangerbird Records. You can pre-order the LP here. Holly will also be playing a handful of NYC & L.A. shows including a show at Park Church Co-op in Brooklyn. Abbey Baker - Tell Me How. 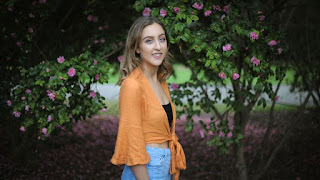 Background - Emerging Sydney songstress, Abbey Baker, is set to confidently stun audiences with her endearing indie-pop records. Poised by a passion and skill for songwriting, Abbey’s artistry is propelled by honest and clever lyricism, and her ability to seamlessly transcend genres of soul, indie-pop, funk and jazz. Abbey’s sound is a gorgeous cocktail of heartfelt vocals and delicate piano driven melodies, perfectly complemented by angelic layers of harmonies, soft pop rhythms, and subtle synth productions. Kira May - Muscle Memory. 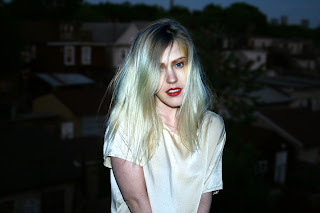 Background from Kira May - I’m an experimental pop artist from Toronto. Back in 2014, I released my debut EP Health, and have since shared stages with the likes of Jean-Michel Blais, Absolutely Free, Diana, Your Boy Tony Braxton, and more. Following Health’s release, I took a step back to focus on treatment for the anxiety and depression that had been holding me back since childhood. During this time I wrote a full-length album as a documentation of that journey. Sense will be released this spring, and I’m thrilled to share the video for its lead single with you today. Company of Thieves - Window. 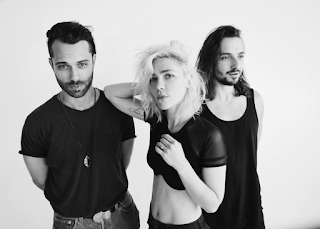 Background - Fresh off their reunion tour and currently on the road with Walk the Moon, indie group Company of Thieves hare their new song, "Window". "Window" is the second release from their forthcoming EP, Better Together, due February 23rd. "Great friends can see something in us that we can’t yet see in ourselves- the ability to make it through, the light at the end of the tunnel. This song is about seeing the best in each other and ourselves, finding windows where there were once only walls" says front woman Genevieve Schatz of their new song, "Window". 10 years proceeding the release of their self released album, Ordinary Riches, Company of Thieves made their comeback in the summer of 2017 with "Treasure". Super Hi-Fi - Little Black Book. 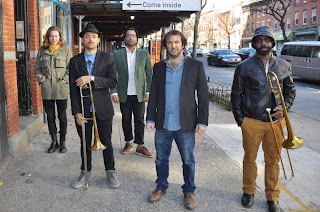 Background - Leading up to the March 9th release of their fifth studio album Blue and White, Brooklyn's Super Hi-Fi have dropped a quirky video for their first single "Little Black Book". Picking-up where they left off with their 2012 release Dub To The Bone, "Little Black Book" once again showcases the band's dual trombone prowess and penchant for heavy bass lines. However, unlike Dub To The Bone, "Little Black Book" draws influence from west African music and the unmistakable rhythms of Afrobeat. The song is bolstered by drummer Madhu Siddappa's shuffling groove and Jon Lipscomb's hypnotic guitar playing which draws the band away from their traditional, dub-heavy reggae roots and into a west African inspired musical amalgam. 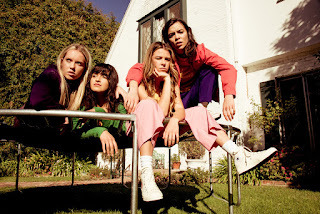 The Aces - Volcanic Love.